XL 3901 x 2562px 15 Mb. OMETEPE, NICARAGUA, MAY, 14, 2018: Outdoor view of old american school bus made over and reused in Central America. 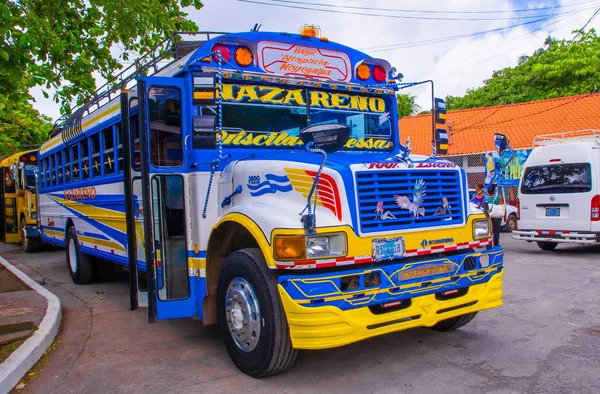 They are colorfully decorated and used for public or private transport.